Ringtones are one of the most important device components. It is the first thing you hear when someone calls. You would definitely want your ringtone to be perfect. You would want to have a ringtone that uplifts you every time someone calls you. We did our research to find you the best ringtones 2018. We will show you these best iPhone ringtones 2018 in this article. While it is possible to find great custom-made ringtones, the best iPhone ringtones are the ones you create yourself. This is the reason why we will also be showing you how you can create your own ringtones. When looking for the best ringtones 2018, we came across a large number of ringtones online. We have isolated the top 10 best iPhone ringtones and arranged them based on their popularity. No 9. Mi Gente More than a quarter a million devices are using this ringtone. The ringtone is only 470KB. The success of the Mi Gente song could have contributed to the success of the ringtone. No 8. Arjun Reddy BGM The 448 KB ringtone has been downloaded by more than 266,000 individuals. More than 20,000 people did view it. No 7. iPhone X - Reflection In comparison to the previous ringtones, this ringtone is a little bit bulky. It is 862.15KB. However, this did not keep more than 325,000 people from downloading it. No 6. Apple Ring The ringtone is only 207KB. It has over 336,386 users currently. More than 10,500 people have already viewed it. No 5. Havana – Camila Cabello ft Young Thug The ringtone has already been downloaded more than 338,037 times. It has been viewed over 64,000 times. It is lightweight considering it is only 234KB. No 4. Shape of You (Marimba Remix) This ED Sheeran song managed to be on the top 5 iPhone ringtone 2018. It is being used on more than 520,000 devices. The ringtone will only occupy 479KB. No 3. Despacito When Despacito was first released, it became a hit. This is probably the reason why it is one of the most popular 2018 ringtones. It is already being used on over half a million devices. To be exact, it has been downloaded 522,699 times. It is only 454KB which is not bulky at all. No 2. Naino Ki jo baat Although this ringtone had only been viewed by 4763 people, it had numerous downloads. More than 760,000 individuals had already downloaded it. The ringtone is not bulky either. It is only 658.45KB. No 1. Let Me Love You On the site where we found this ringtone, it had already been viewed by 235,260 people. Almost 1.5 million people had already downloaded the iPhone ringtone 2018. This is quite impressive. The ringtone is not bulky. It will occupy 454KB on your device. You can decide any section of any song to be your iPhone ringtone. You can set the start and end time of the ringtone while listening the song. Precise selection is guaranteed. You can use the songs you have on iPhone or computer to create your custom ringtone. It supports numerous file formats including mp3, wav, wma, aac, etc. 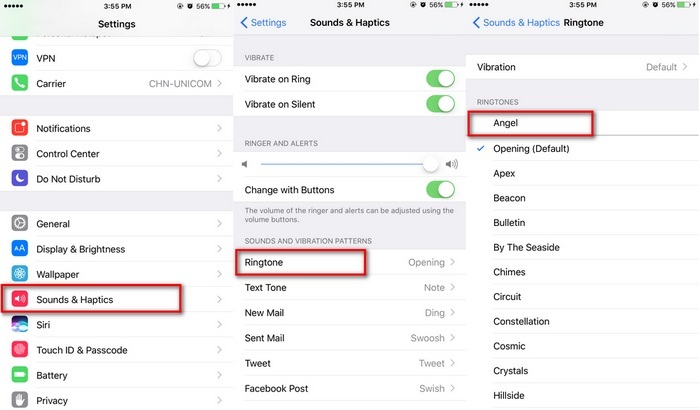 The tool allows you to preview your ringtones before you save them to your iPhone. The tool eliminates the need to use iTunes which has a large number of limitations. Step 1: Use a USB cable to connect your iPhone to the computer and launch TunesMate. Tap the Music tab. Click Ringtones on the sidebar and then tap Ringtone Maker on the top bar. 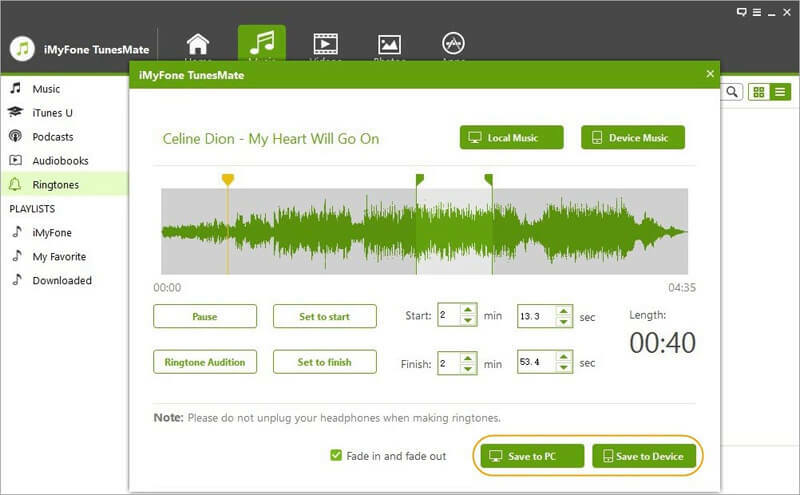 Step 2: Locate a song you would like to create a custom ringtone from. You can choose the song from your computer by tapping Local Music or your device by clicking Device Music. 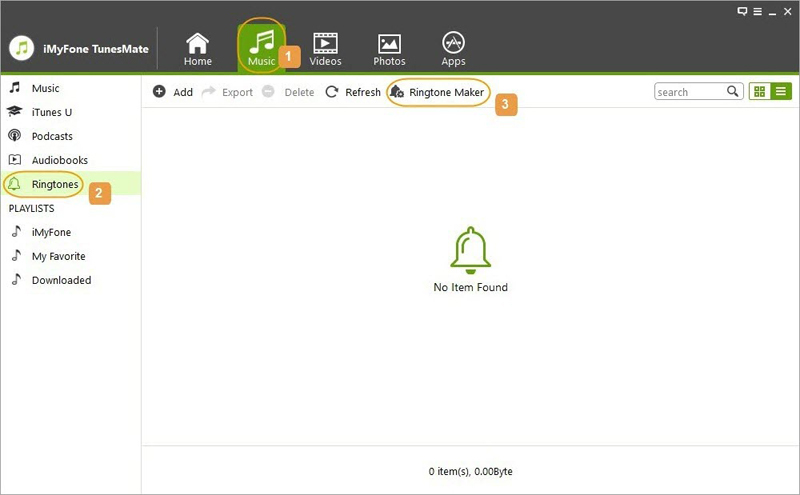 Step 3: After adding the song to the Ringtone Maker, it will start playing automatically. Control the playback using the Pause/Play buttons. Step 4: Set the Start and Finish Time. To manually pick your favorite area, use the light-grey area. You can also use the Set to Start/Finish buttons. Use the Ringtone Audition button to confirm that the selection is correct. Step 5: After you are done, you can save your ringtone to either your iPhone or computer. 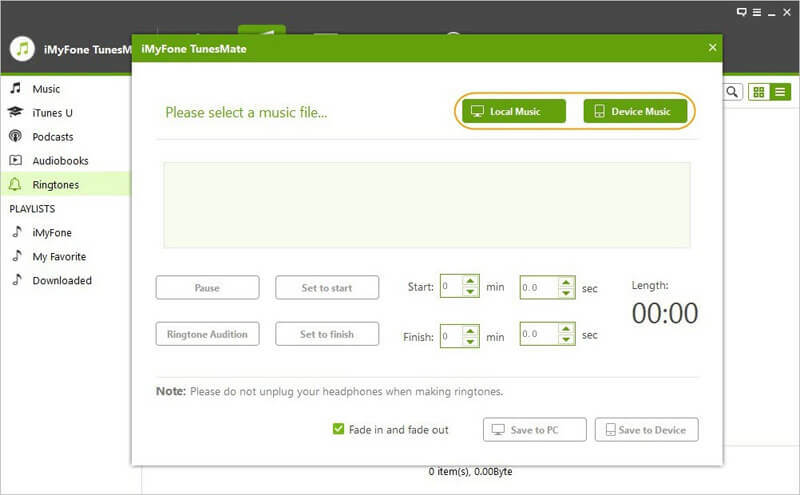 There is something you may be interested to knowing more about iMyFone TunesMate. TunesFix is not only good at managing your ringtones, but also does great job to manage your iPhone music, videos, playlists, audiobooks, etc. It frees your data from iTunes limitations. Step 1: On your iPhone, launch the Settings app. Step 2: Locate Sounds & Haptics and tap on it. For some devices, this option may be named just Sounds. Step 3: Select Ringtone under Sounds and Vibration Patterns. This will display the list of ringtones you have. Step 4: Tap on the desired ringtone to choose it. This article shows you the top 9 best iPhone ringtones. These may not be perfect for you. However, you do not have to use custom-made ringtones just because they are popular. It is possible to create your own perfect iPhone ringtone 2018 using your favorite song. This is made possible by iMyFone TunesMate.